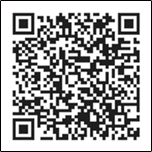 Be the director of yourselves, record every previous moment easily Enjoy the different aerial photogrpahy experience. With the advanced Barometric pressure technology, it enhances the shooting stability with hover function, and reduce the blurring of shooting due to the shaking of the aircraft. FPV is First Person View. With the camera installed on X21W, thorugh the transmission by wifi to your device, you will have an immersive experience on the screen of your device. Go to "Syma Go" Apps, enter the waypoint control function. Simply draw a route on the screen with your fingertip, Syma X21W will then move in that direction automatically. 1. 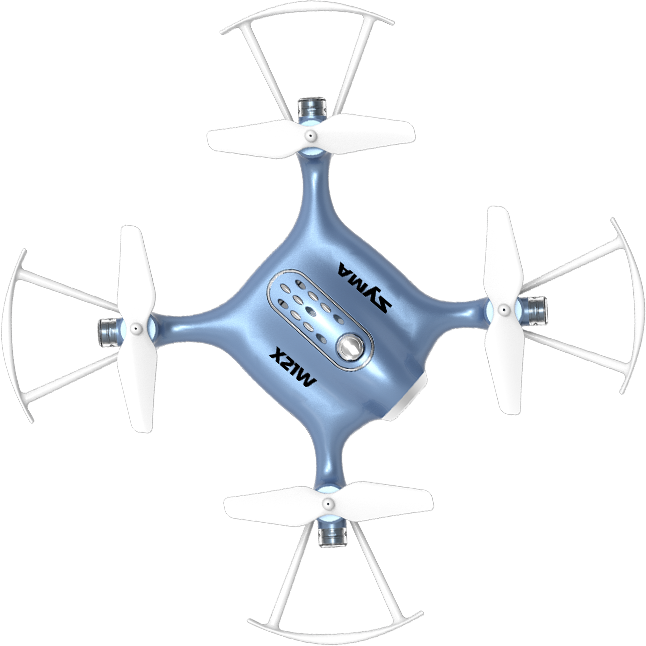 Unlock Syma X21W, the propeller will start spinning gradually. Then press " ", Syma X21W will start flying upward. 2. While Syma X21W is flying, press " ", Syma X21W will gradually land on the ground. Press " " on the screen, Syma X21W will be in gravity sensor control mode. Simply tilt your mobile to the left / right / forward / backward, Syma X21W will be following your movement. Low Battery Protection: When the indicator lights are flashing, it means Syma X21W is in low battery. At this time, please return Syma X21W to home with your controller. If the battery is insufficient for returning home, Syma X21W will be landed automatically . 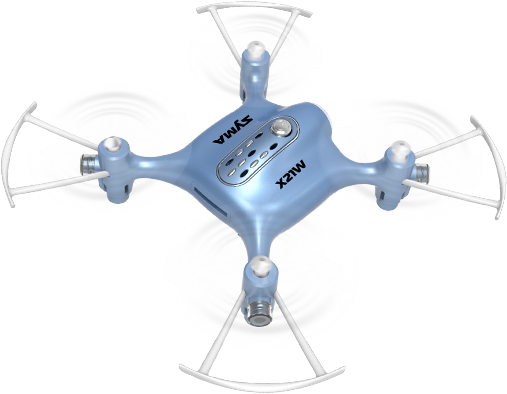 Overcurrent Protection: When the propeller of Syma X21W is being knocked / jammed while in flying mode, the over-current function will automatically stop the movement of the propeller to protect the damage of the drone itself. 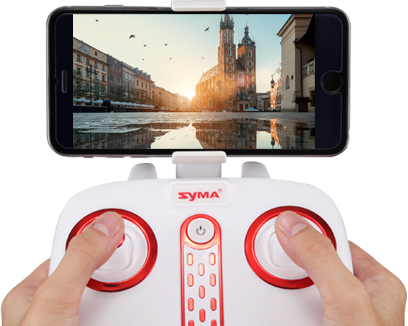 Syma has redefined the experience of professional aerial photography, your device can be your controller of our Syma drones. Syma brings you a richer and easier control function with our Syma App. 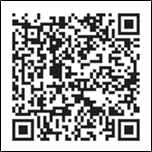 Simply download and install "Syma Go" on your device to enjoy the special features . 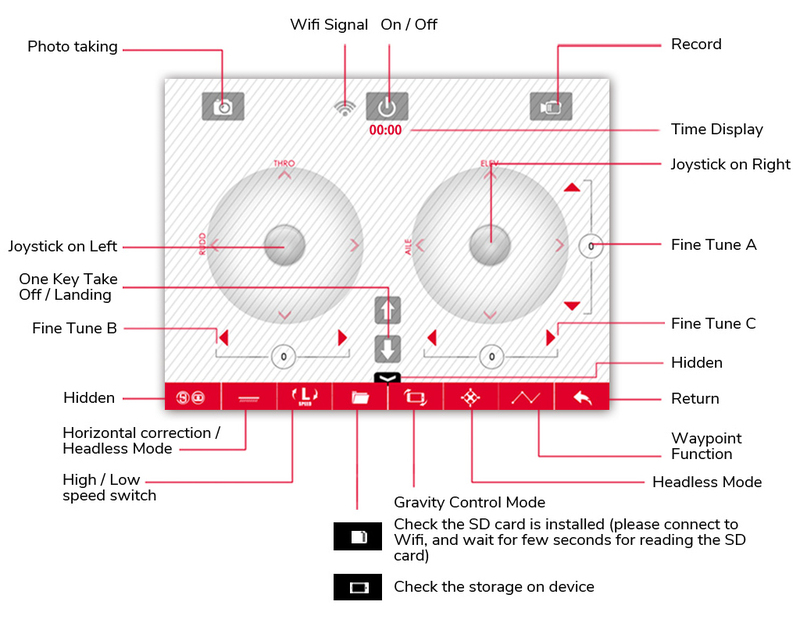 "Syma Go" comes with outstanding interface, despite of one key take off / landing, there are features such as one key on / off, waypoint function, gravity mode etc. 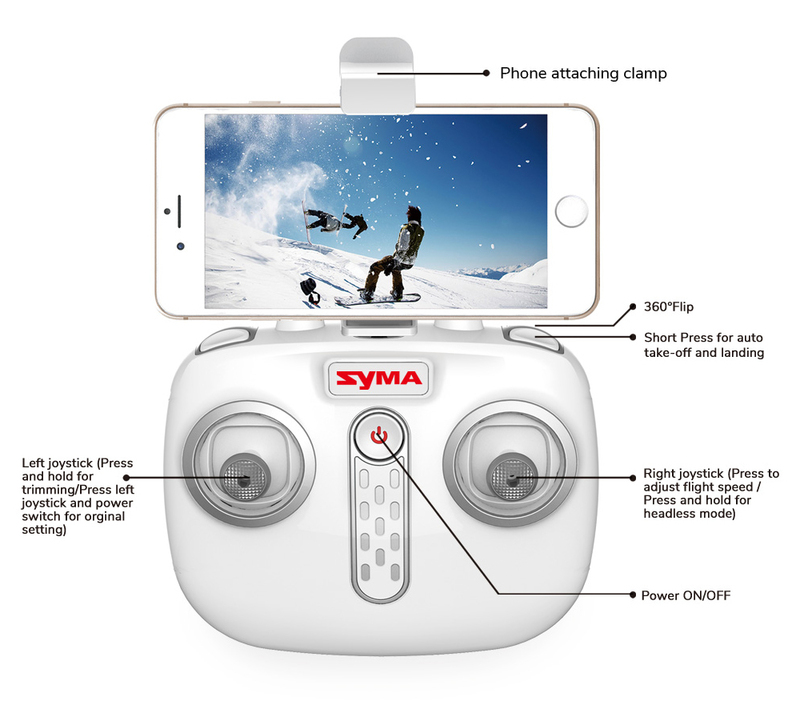 Have an easier and smoother flying experience with our Syma X21W. Ways to control: After entering into the waypoint function control, press the start button on left to increase the throttle, and let the aircraft station at a certain of altitude,then draw a route on right side of the screen, Syma X21W will fly automatically accordingly to the route. You may also enter into the track directly.